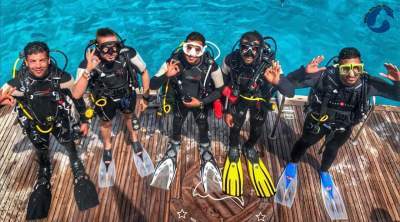 If you want to become a professional and confident diver, we recommend you take up one, or more, of the many diving courses our team has to offer. 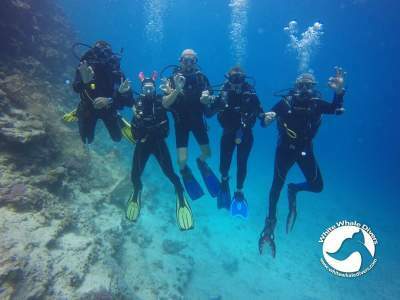 Whether you want to begin or continue your diving education, let our team of professional instructors guide you through a variety of courses that are best suited to your Scuba Diving interests. The PADI Open Water Diver course is the best way to introduce you to the fundamentals of safe and professional diving. The course consists of both theory and practical aspects. 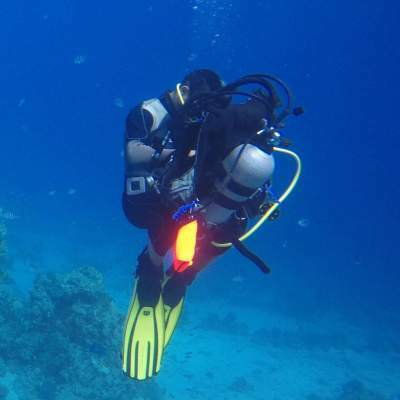 The theoretical knowledge will be covered using the PADI course manual and DVD, whilst all the practical skills and training will be done in the water off our boat in Hurghada. Once you complete the Open Water course you recieve your certification along with a free White Whale Divers Log Book to begin keeping record of your diving adventures! This globally recognised course provides you with all the skills and knowledge you need to safely and confidently dive up to a depth of 18 meters. This course is designed to take you deeper into your diving adventures, up to 30 meters deep! The Advanced Open Water course is made up of five adventure dives, Deep and Navigation dives are mandatory and for the remaining three you have the choice between Wreck Dive, Drift Dive, Boat Dive and others. Your additional dives will be agreed with your instructor depending on what is available whilst you are doing your course. However, we will always do our best to arrange the dive you want for you! For the Wreck Adventure dives, there are two main wrecks in Hurghada that we visit, the Mina Wreck which is a military ship that was sunk by the harbour in 1969. The boat lies on its side at 30 meters deep. The other wreck we go to is Hasaballah Wreck which is an old fishing boat that also lies at 30 meters deep not far from the Mina Wreck. We also have a Zodiac that is perfect for Drift Diving. We take you to a drop off point using the zodiac and you just let the current bring you back to the boat. This allows you to explore even more of the surrounding reefs and corals and get more use out of your tank. You can customise your Advanced course to fine tune your skills to suit your interests. The EFR course covers the essential skills and knowledge needed to effectively and confidently respond to most medical emergencies. 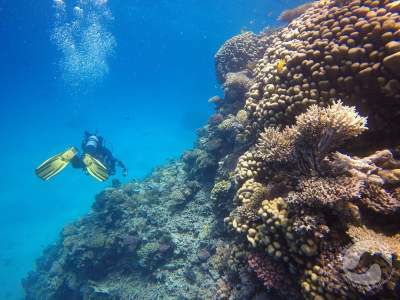 The course is simple to understand and can be completed in a few hours, giving you enough time to enjoy the beautiful Hurghada reefs. This is an essential part of your learning journey to become a professional diver. The EFR prepares you in Primary and Secondary First Aid, for medical emergencies that you may face in everyday life, not only in diving. You can get the EFR course at a discounted price if you combine it with the Rescue Diver Course! Many divers experience stress and anxiety at times when under the water; this, when not handled correctly, can cause serious problems and may even put someone’s life at risk. The PADI Rescue Diver course teaches you how to consider not only your own safety, but the safety of other divers around you. Through extensive training sessions that last for four days, you learn how to spot potential risks and divers in need of help, and how to respond efficiently to contain the situation before it becomes a major problem. Book the PADI Rescue Diver to challenge yourself and develop your knowledge and skills to make you an essential member in any group of divers. You must have a valid Emergency First Response certificate or equivalent to take this course. 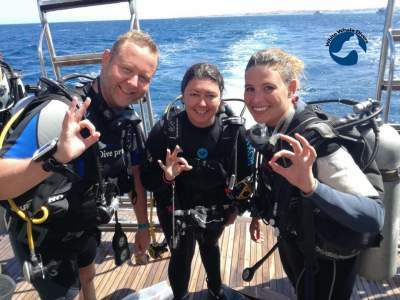 The Dive Master certification precedes the PADI Assistant Instructor and PADI Open Water Scuba Instructor certifications where you become a fully qualified and licensed Scuba Diving Instructor. In a nutshell, this is how you turn your passion into your job! The Dive Master builds on the skills and knowledge you’ve already learnt from your previous courses and hones your skills to a professional level, focusing on building your leadership skills to a point where you can organise and lead diving trips and even assist in training learning divers alongside instructors. 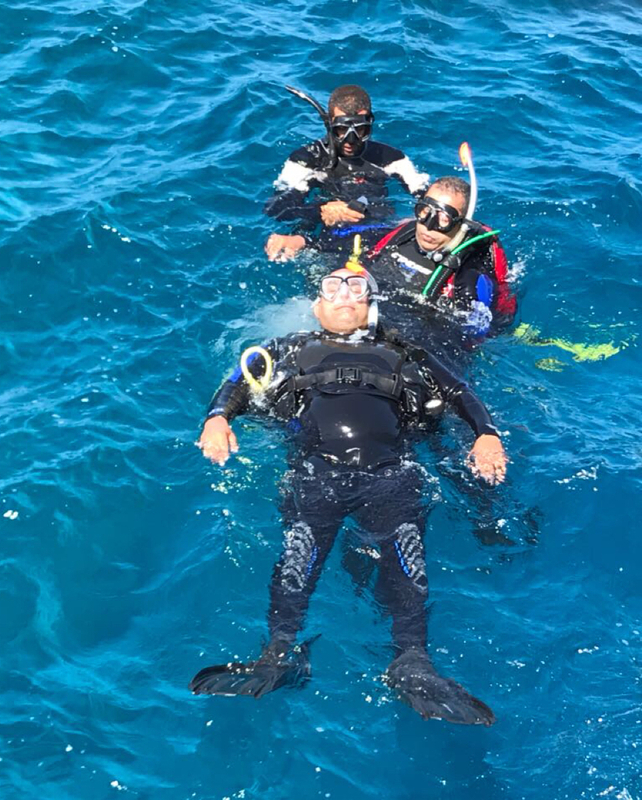 The Dive Master is a ten-day course, giving you enough time to get through the five main segments that you study, through independent reading and hands-on practical sessions, before your assessments. The five segments that you’ll be assessed on are Knowledge Development, Water Skills and Stamina, Practical Application, Practical Assessment and Professionalism. Book the PADI Dive Master and begin your pursuit of your professional diving career in Hurghada! You must have completed the Rescue Diver course or equivalent certification. At least 40 logged dives before beginning the Dive Master as the course requires a total of 60 logged dives to become certified. The Dive Master course manual is not Included and costs an additional 120 Euros.